The Word teaches us very clearly that Christ has been taken right out of this old creation and set at God's right hand in the heavenlies. On the other hand, it shows us that His being there, and our being in spiritual union with Him, means that for all spiritual purposes and resources, we also are in the heavenlies in Christ.... Let us ask the Lord to give us a real, spiritual, quick, living apprehension of this great truth concerning our Lord Jesus, the great realm of the new creation into which we are brought, and let us apply it, practice it, put it into operation from day to day. You may have to go into a place where there is not much spiritual wealth on the outside, not much upon which to feed. Remember you have Christ, the whole Land, lying before you. You may have to go into scenes where there is anything but rest, spiritual rest; where all is fret, care, drive, strain. Remember that you are in the Land; you are in Christ; you have Him as your Rest. You may have to go into the conflict, into the battle, into the tremendous activities of the enemy to overthrow you. Remember you are in Christ, Who is Victory, complete, final victory. That remains true, whatever the enemy say about it. Christ is all that we need for a life which is glorifying to Him. 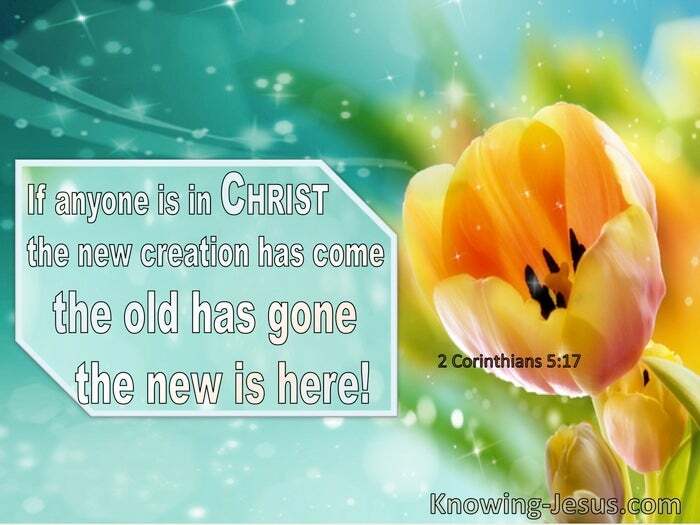 It is what Christ is, what we have in the new creation.